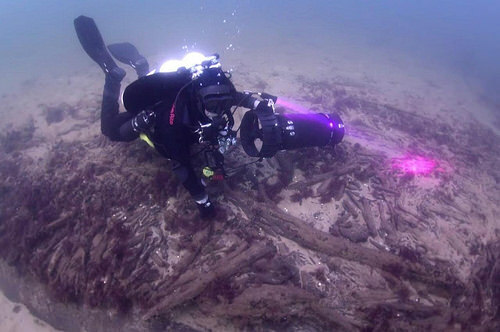 LUND UNIVERSITY—Seven years ago divers discovered the oldest known stationary fish traps in northern Europe off the coast of southern Sweden. 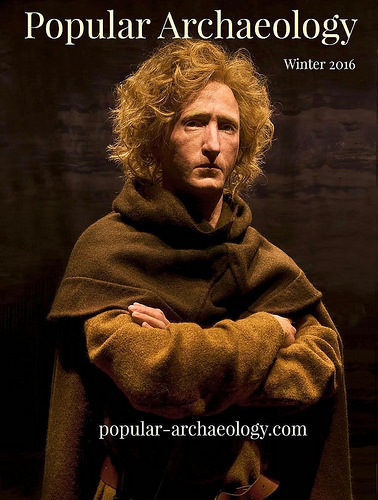 Since then, researchers at Lund University in Sweden have uncovered an exceptionally well-preserved Stone Age site. 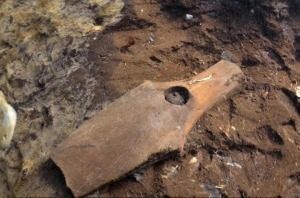 They now believe the location was a lagoon environment where Mesolithic humans lived during parts of the year. 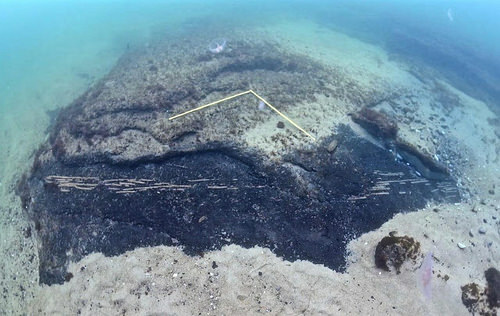 The underwater site was once a lagoon about 9,000 years ago. Still screen shot from video, shown below. Mesolithic period fishtraps found at the site. Still screen shot from video, shown below. A 9,000-year-old pick axe made out of elk antlers, found at the site. Still screen shot from video, shown below. 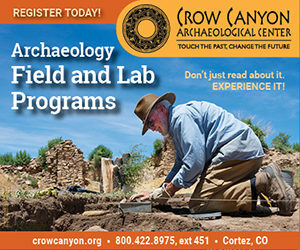 “These sites have been known, but only through scattered finds. We now have the technology for more detailed interpretations of the landscape”, says Anton Hansson. “If you want to fully understand how humans dispersed from Africa, and their way of life, we also have to find all their settlements. Quite a few of these are currently underwater, since the sea level is higher today than during the last glaciation. Humans have always prefered coastal sites”, concludes Hansson. Source: Lund University press release.